Go find your park; your heart, your mind and your soul will thank you for it. On August 25, 1916, President Woodrow Wilson signed a bill that created an agency that was tasked “to conserve the scenery and the natural and historic objects and wildlife therein, and to provide for the enjoyment of the same in such manner and by such means as will leave them unimpaired for the enjoyment of future generations.” The agency was the National Park Service. My wife and I are the future generation. My two daughters are the future generation. And we truly enjoy the national parks. The national parks have been called “national treasure”, “crown jewels” of the U.S. and neither is exaggeration. Every year when vacation planning begins, our search starts at the parks. Our list of parks to explore keeps growing and our thirst to experience it all is unquenched. We, with foolish arrogance, tried to hike down into the Grand Canyon and within 2 hours, realized we were outmatched and surrendered to its scale. We spent the rest of the time on the rim, being amazed at the raw power of flowing water and as the sun set, watched the canyon burn with a brilliant orange glow. We, with a young child in tow, tried to crawl into the smallest of spaces underground at Mammoth Cave, only to emerge into the largest of spaces, still underneath. We learnt and were amazed at how unlike the canyon, this endless system of caves were carved drop by drop and understood that water works in different ways but is always powerful. We, with rain coats and snow boots, spent days second guessing geyser eruptions in the Yellowstone, keeping our distance from the moose and the bison, climbing hills to cast a better eye on the Grand Prismatic and hiking to hidden waterfalls all the while wondering if the effort was worth it only to have all doubt evaporate when we reached our goal. The Yellowstone was the first national park, and is still my personal favorite. We , with bottles of water, spent a day walking in Joshua Tree, missing our cell signal only because we couldn’t Google for more information of the alien like trees, and then believing we were Phantom when we saw Skull Rock. We, woke up early, and drove up Haleakala and waited patiently as sunrise, parted the fog and transformed the landscape to a Martian terrain, counted our blessings as the morning song was sung, and then realized what we had driven up only on the treacherous way back down. We’ve sat at the water’s edge at the Grand Teton, transfixed at the reflections of the great mountains, followed Ansel Adams’ path and tried to see what he saw, and then switched off all lights on our car, only to lose our selves in the Milky Way. We were scared, we clung to each other, and in that one moment, knew how small we were yet were inspired to explore and make something of our lives. We’ve, with a camera, at the Everglades, tried to crouch down to an alligator’s level to capture its sharp teeth, only to jump with fear when it shut its mouth and lunged out of the canals, hiked through thick forests, only to learn that a python was spotted just minutes before and then returned to do it all over again. We’ve been awed by the water at Niagara Falls, by the trees at Muir Woods, by the history at the Dry Tortugas, and by the coral at Biscayne Bay. We’ve driven on All American Roads, through peaks at the Beartooth Highway in Montana, through Red Rock in Sedona, through bridges and islands in the Florida Keys, through waterfalls in Columbia River Gorge in Oregon, by the world’s second largest lake in fall in Duluth and through National Forests in the White Mountains. We’ve, when National Parks were outside our reach, made stops at state parks in New York, Pennsylvania, Indiana, Florida, Michigan and Wisconsin for we know that the great ones, like Yosemite, always begin at the State level. Today, the National Park Service turns 100, celebrating its birthday, its centennial, and the greatest gift we can give it, is to go find a park, immerse ourselves in its grandeur, and then leave it just like we found it for all the future generations to explore and experience. 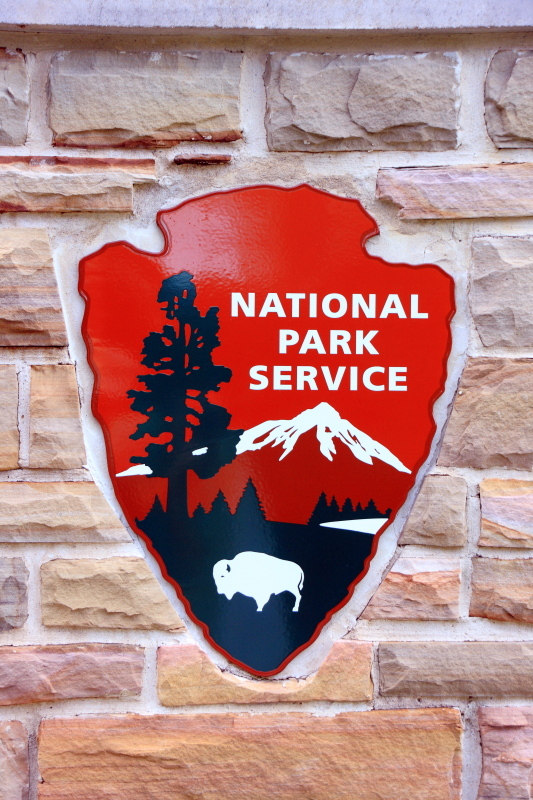 Happy Birthday National Park Service, and Thank You. Previous Jessica Ennis wasn’t beaten by the scoring system but Laura was.